If you didn’t already know that Barcelona is the coolest, hippest, grooviest city in Europe, you have probably been on Mars for the past 10 years. But what is it like to live in the Catalan capital? When Alex and Patricia Neish decided to retire after working in South America, it was a choice between their home city, Edinburgh, and somewhere in Portugal or Spain. Portugal was rejected because they were told the healthcare system was not up to snuff. So they toured Spain without much enthusiasm, until they arrived in Barcelona. “I liked it from day one,” says Patricia. “I knew that we could live here.” Her husband is even more sure they made the right choice. “You come to live in Barcelona because you are intelligent. Besides, there are three main things wrong with Edinburgh: the climate, the taxes and the people,” he says. They came six years ago and bought a derelict 350 sqm apartment in Calle Sant Pere Mes Alt, where Barcelona’s nobility used to live. After years of neglect, it was used as a textile factory. They paid £230,000 for the building, which needed gutting and fitting with electricity and water. They spent another £230,000. Now the Barcelona apartment is valued at about £985,000. There may be a germ of truth in the myth about Spanish workers and their love of mañana, but Barcelona is Catalan, not Spanish. Most of Catalonia may be in northern Spain, but the people are a distinct group who teach their children to speak Catalan before Spanish. This has deterred some Spaniards from moving to Barcelona. The Catalans are a mercantile people, with a love of order and punctuality. “Sometimes we even find them a bit dour,” says Alex. One man who fell in love with the people as much as the place is Mark Stucklin. He gave up a job in the cigar business and went to Barcelona five years ago to do an MBA at IESE, Spain’s leading business school. When he married a fellow student, a Barcelonese with an Anglo-Catalan background, it seemed natural to stay in the city. 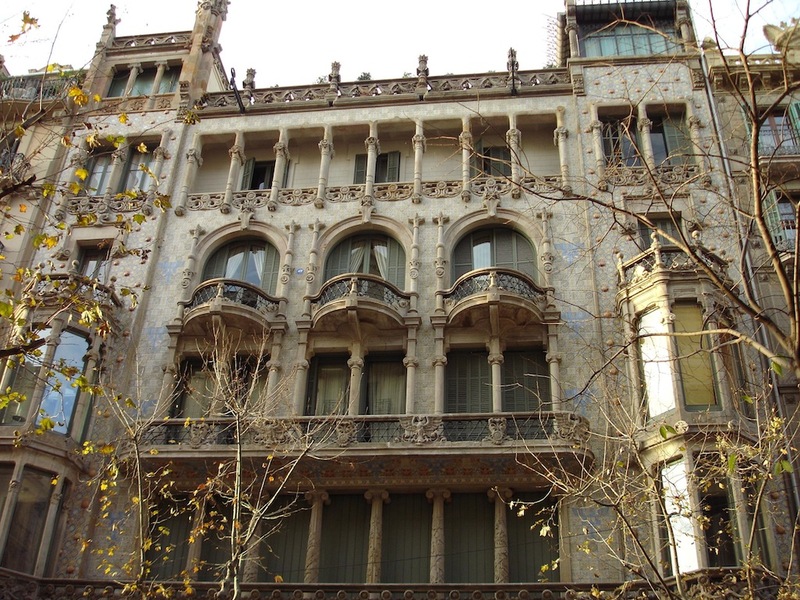 They bought an apartment in the Eixample, an area named after its grid system that was developed in the 1850s. His wife has set up a business helping people to find property in both Barcelona and the Costa Brava, and Stucklin runs Spanish Property Insight, a consultancy that reports on the Spanish property market and helps buyers understand the conveyancing process. Most of the best work of Barcelona’s much-loved architect Antonio Gaudi – including the Casa Mila and the Sagrada Familia cathedral – is in the Eixample. Maybe it was a reaction to the grid system. Some of the modernists were opposed to its ordered lines. Gaudi himself was at work on the Sagrada Familia when he was run down by a tram. The pijos – the posh people of Barcelona – all used to live around here. Now many of them have escaped the shops and the bustle and moved to the Zona Alta, up in the hills. Foreign buyers tend not to head for the hills. They prefer the Barrio Gotico around the cathedral. As this has become more developed, a new area has sprung up around the Santa Maria del Mar church, called the Born. This is a cross between Soho and Notting Hill Gate in London, full of bars, shops and museums. An apartment here costs £1,970 to £2,600 per sq m, although there is a risk of being kept up all night by party-goers. Another area worthy of attention is Gracia, just to the west of the Eixample. This used to be a village, almost a suburb, of Barcelona, but now it is very central. There are small, pretty squares, with narrow streets and tiny houses and apartments. Expect to pay from £660 per sq m and to be surrounded by students. If the bustle of Barcelona is all too much, you could try just outside the city. Peter and Ginette Cobbold, both in their late thirties with two children, 10 and 8, bought a farmhouse 30 minutes’ drive away. “We didn’t want to live in the centre of Barcelona, but we wanted to be close to it. I work all over Europe. This is a great base from which to travel,” says Ginette. Their farmhouse has many sprawling buildings, lots of bedrooms and a sea view. They paid £370,000 and spent a further £105,000 on it, which included installing a swimming pool and converting part of the house into a guest wing that can be rented via www.masiarentals.com. Few people tend to buy second homes in cities. They are generally looking for an escape to either the seaside or the mountains. But such are the attractions of Barcelona that a number of second homebuyers have decided to buy there. When Shaw is not in Barcelona, he rents out his flats via a short-term letting agency, Barcelona Apartments. “Without them, I definitely would not have bought a second property,” he says.